The new Jeep Cherokee expertly blends revolutionary refinement with unrelenting performance. Adventure is just getting started in the new Jeep Cherokee, the compact crossover with a lot to offer. 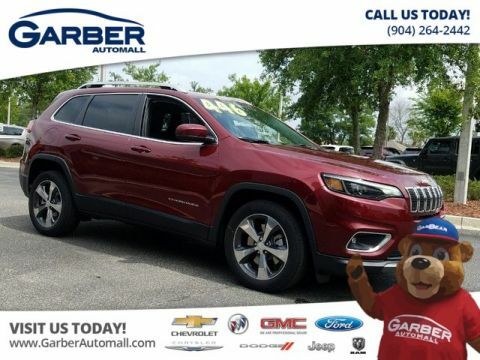 Despite its small size, the Cherokee is surprisingly versatile, with up to 54.9 cubic feet of cargo capacity when the rear seats are folded down. This innovator doesn’t sacrifice efficiency for the sake of space either; with its 2.4L Tigershark engine, you’ll still enjoy astonishing fuel economy, up to 31 MPG on the highway. Whether you’re headed to the beach, running errands around Orange Park, or meeting friends in Jacksonville, you’re in for one enjoyable ride. The new Jeep Cherokee is eye-catching, ensnaring your attention and holding it for a long time. 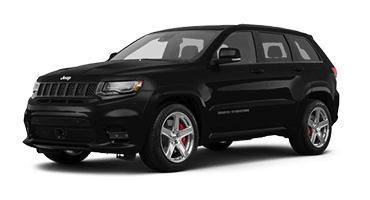 Standing out in a crowd with its contemporary spin on classic Jeep brand styling, this compact SUV’s aerodynamic shell is composed of alluring curves and bold lines. 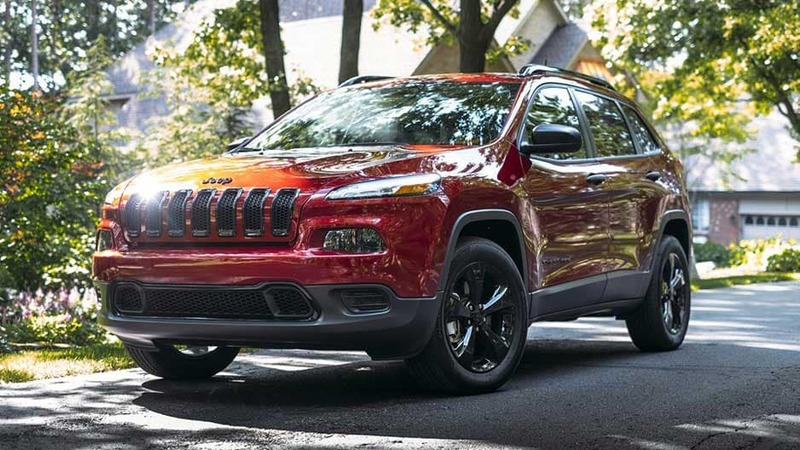 Factor in the iconic seven-slot grille, dual chrome exhaust tips, and LED daytime running lamps and the new Jeep Cherokee is one ride you’ll want to look at again and again. 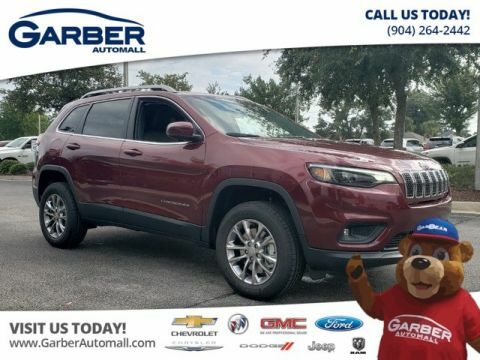 Fall in love with this trendsetting SUV today, available for a test drive at Garber Automall in Green Cove Springs! More revolutionary than evolutionary, the new Jeep Cherokee is pushing boundaries and exploring unknown territories. Sculpted for aerodynamic efficiency and equipped with smart amenities, the Jeep Cherokee is designed with your adventures in mind. The new Jeep Cherokee takes the classic Jeep brand styling you love and casts a modern spin on it. Charging in with bold lines, an alluring frame, and distinguished seven-slot grille, this compact SUV steals the show wherever it goes. 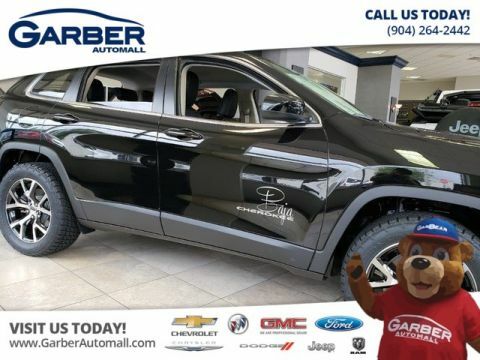 Add a little extra flair to the new Cherokee’s exterior, with dual chrome exhaust tips, which enhance the overall styling of this eye-catching SUV. Cold weather doesn’t stand a chance against the new Jeep Cherokee, which offers heated exterior mirrors to keep snow, ice, and fog at bay. There’s also the available wiper de-icer that helps melt snow build-up, so you’ll have improved visibility during rough snow conditions. Bring more along for the ride in the new Jeep Cherokee, which features convenient roof rails to help carry bulkier cargo and add to the overall appeal of the Cherokee’s aesthetic. The new Jeep Cherokee comes in a plethora of colors, with options such as Firecracker Red, Hydro Blue, and Olive Green. Choose a color you love and truly make your Cherokee yours. 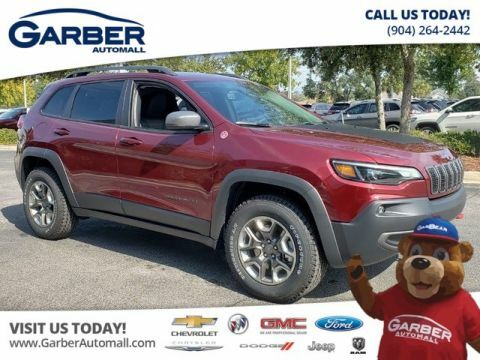 Whether you’re cruising through the city or exploring off the beaten path, the new Jeep Cherokee has all the style and comfort you could ask for. 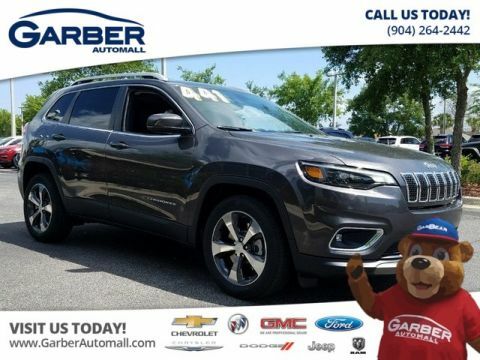 Offering heated front seats, versatile storage, and an aesthetically pleasing dashboard, you’ll be ready to take the streets by storm in this innovative SUV. The new Jeep Cherokee is dressed to impress, which becomes apparent the moment you slip behind the wheel. 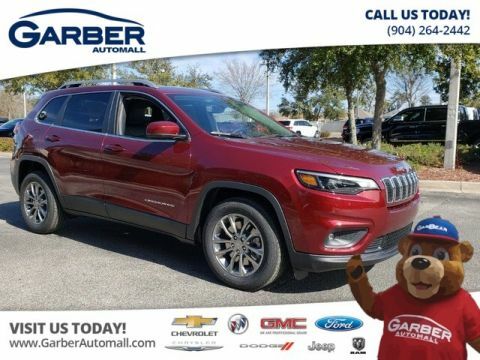 Featuring a wide selection of cloth as well as leather seat options, a sculpted dashboard, and chrome trim; the attention to detail serves as a testament to the Cherokee’s luxurious beauty. Cargo space isn’t an issue in the new Jeep Cherokee. Lower the 60/40 split-fold rear seats down and you’ll have up to 54.9 cubic feet of storage capacity to play with. Load up your camping gear and head out on an adventure. 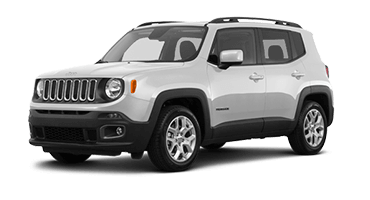 It’s easy to load and go in this versatile SUV, thanks to the convenient power liftgate. Simply press a button on the key fob and the rear door swings open on its own, so you don’t have to fumble with the handle when your hands are full. 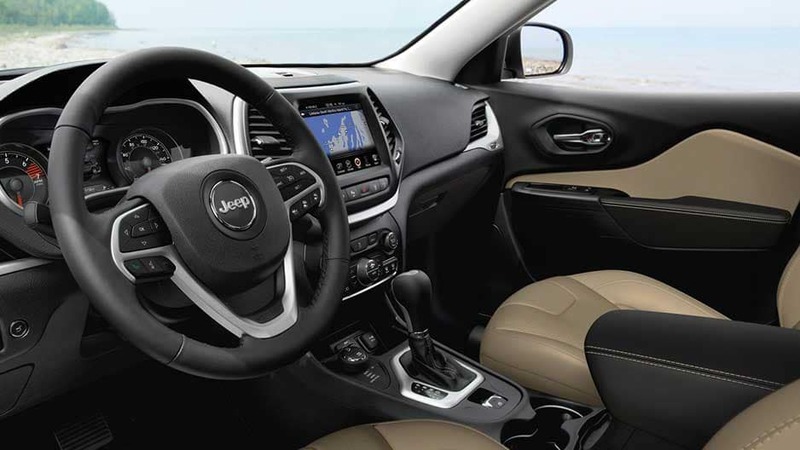 Keep cold weather at bay in the new Jeep Cherokee, courtesy of the available heated front seats. A press of a button is all it takes to activate the heating element in the cushion and seatback to your desired temperature, keeping you warm on chilly mornings. Brighten up your day with the Jeep Cherokee’s available CommandView Dual-Pane Power Sunroof. Featuring a power sunshade, fixed glass rear panel, and a power sliding glass front panel, you’ll enjoy fresh air as well as a great view wherever you’re sitting in this fun-loving SUV. The fun and adventure is just getting started in the new Jeep Cherokee. 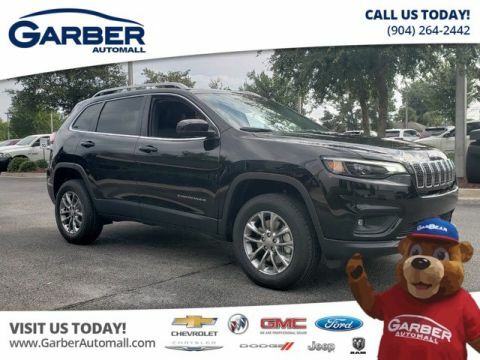 With a plethora of advanced technology features at your disposal, including Uconnect® Multimedia, Alpine® Premium Audio, and SiriusXM® Radio, this impressive SUV ensures no road trip is ever boring again. 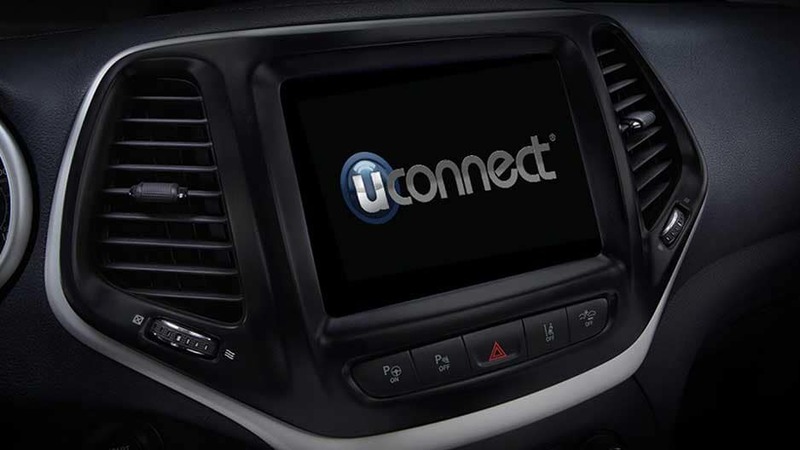 Sync your mobile device to the ingenious Uconnect Multimedia System and you’ll have convenient access to your favorite apps right from the 8.4” touchscreen. With the Uconnect Voice command, you can stream your favorite music, answer calls hands free, or navigate a new city, without even having to lift a finger. Prepare to be surrounded in concert-quality audio everywhere you go, courtesy of the state-of-the-art Alpine Premium Audio System. Featuring 12-channel amplifier, 9 speakers, and a subwoofer, this sound system turns the new Jeep Cherokee into an audiophiles dream ride. Put those new speakers to good use with a free 1-year trial to SiriusXM Satellite Radio’s All-Access Package, which includes over 150 channels of commercial-free music, talk, sport, and entertainment radio. 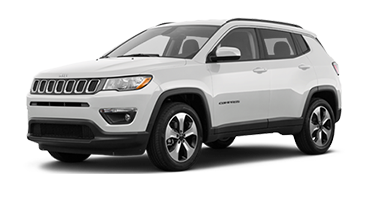 Opt for the new Jeep Cherokee’s available Remote Vehicle Starter and you’ll be able to start up the Cherokee from up to 200 feet away, so you can warm your SUV up on chilly mornings without having to step outside. The new Jeep Cherokee allows you to keep essential information front and center with its Driver Information Digital Cluster Display. Fully configurable, you can scroll through the menu options with the steering wheel mounted controls, displaying information such as speed, tire pressure, and so much more! 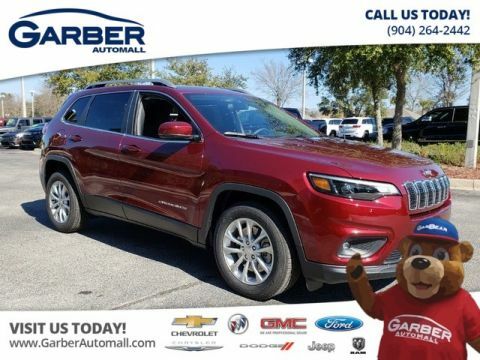 The new Jeep Cherokee always puts your safety first, and that fact is evident in the over 70 available advanced safety features this impressive SUV has to offer. Feel free to travel anywhere, secure in the knowledge that systems such as Forward Collision Warning and Blind Spot Monitoring are watching out for you. Wherever the road takes you, you’ll be cocooned in safety with the new Jeep Cherokee, which is crafted from high-strength steel to form a reinforced frame. Ten advanced airbags are strategically placed throughout the cabin, to provide maximum protection in the event of a crash. Using radar sensors, the new Jeep Cherokee can sense if you’re approaching a detected vehicle too quickly, and will alert you with an audible chime. If it senses a front-end collision is imminent, the system will employ advanced braking assist to begin slowing the vehicle down to lessen potential damage. This available system monitors the area around you and can detect when a vehicle has entered one of your blind zones, alerting you with visual as well as audible warnings. 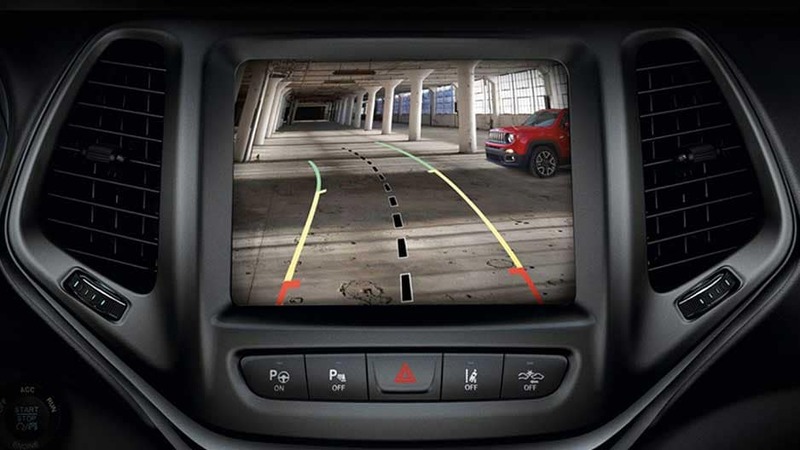 Back out of any parking spot or driveway with ease thanks to the new Jeep Cherokee’s ParkView® Rear Back-Up Camera. 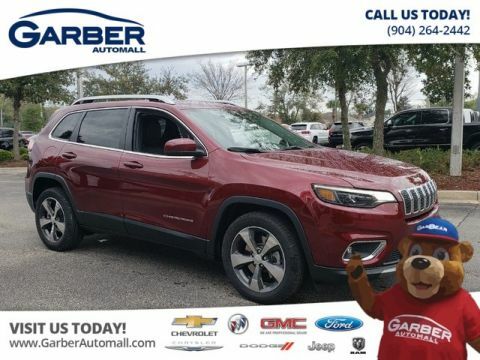 Simply place the Cherokee in reverse and the touchscreen will switch to an active feed of the area behind you, complete with dynamic guiding lines to lead the way. If this available system detects that you’re unintentionally drifting out of your lane, it will alert you with visual and audible warnings, so you can get back on track. Confident, capable, and ready for anything, the new Jeep Cherokee combines Jeep adventure attitude with modern luxury. 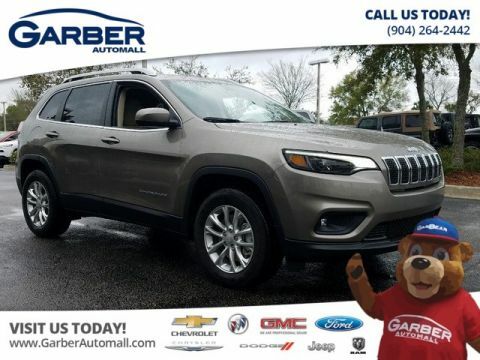 Unstoppable against whatever Mother Nature throws your way with the Selec-Terrain® Traction Management System, the Jeep Cherokee provides the engine options to power through anything, while still delivering a smooth, satisfying ride. 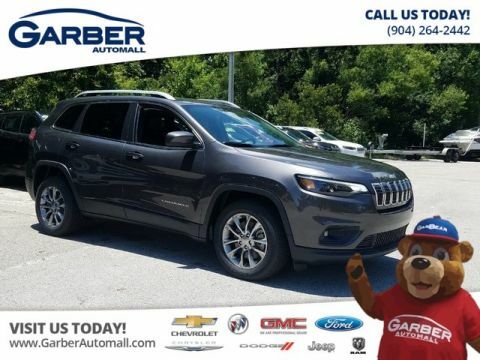 The new Jeep Cherokee is one of the most fuel efficient SUVs on the market, boasting up to 31 MPG on the highway with its 2.4L Tigershark Multiair® 2 engine. With more time between fill-ups, feel free to go further than ever before. 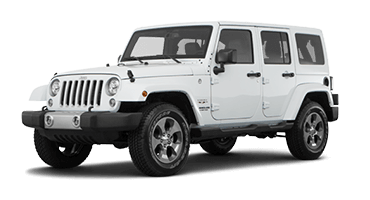 Perfect for anyone who craves a little more power in their ride, the 3.2L Pentastar V6 Engine is the first of its kind, offering 271 horsepower and 239 lb-ft of torque. Put the pedal to the metal and leave the rest behind. Optimize your driving experience for any road condition, with the Jeep Cherokee’s Selec-Terrain Traction Management System. 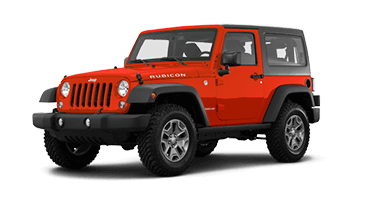 This system allows you to select from up to five terrain modes, including Sport, Snow, and Mud, to give you the power and capability you need to tackle even the toughest terrain. 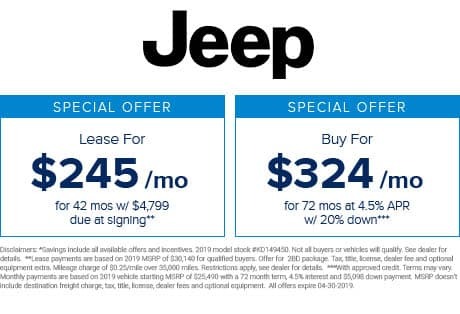 With the Jeep Cherokee’s innovative Active Drive 4×4 system, you’ll benefit from a rear axle disconnect feature which keeps the rear axle engaged only when 4×4 capability is necessary, and disconnected the rest of the time to provide improved fuel efficiency. Bring more gear along for the ride with the new Jeep Cherokee, which is capable of towing up to 4,500 lbs. Whether you’re hitching up a small trailer or bringing your jet skis up to your cabin, this compact SUV ensures nothing gets left behind again. No trail is off-limits in the new Jeep Cherokee, the compact SUV that’s ready for adventure. Boasting the Selec-Terrain® Traction Management system, you can feel confident traversing through any road condition. 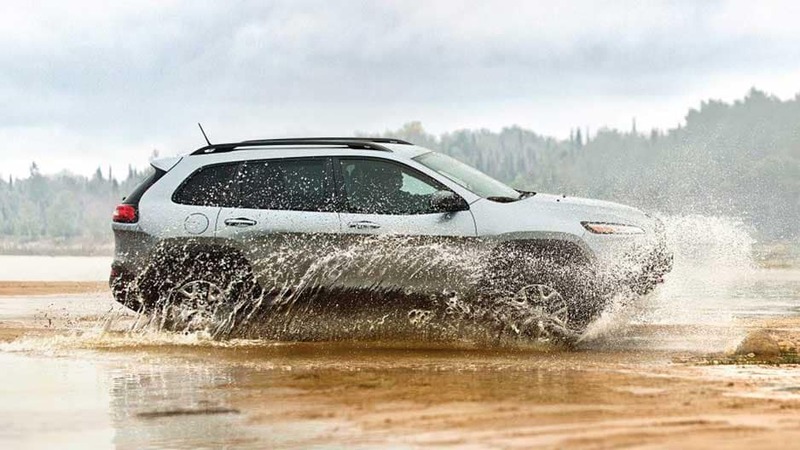 With options such as Snow, Mud, and Sand, you can optimize your Cherokee for whatever Mother Nature throws your way. And while you’re out exploring, the new Jeep Cherokee ensures you’ll be entertained the whole time. Featuring the state-of-the-art Uconnect® Multimedia system, you can sync your mobile and turn your favorite playlist into the background music of your drive. 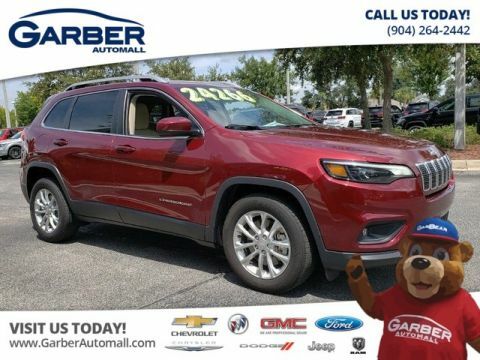 All this and more is waiting for you in the new Jeep Cherokee, available for a test drive today at Garber Automall in Green Cove Springs.